The Gamer Girl & Vixen Kickstarter Is Live! 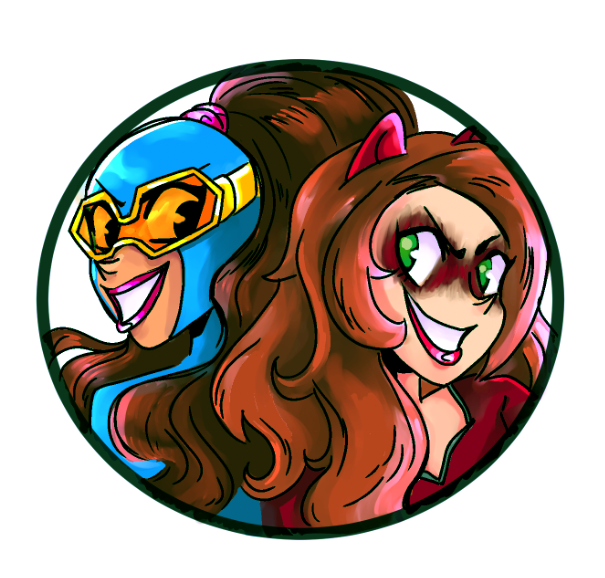 The time is finally here to pre-order your copy of the Gamer Girl & Vixen graphic novel! As many of you henchies know, I’ve been working on my own self-published comic book for a few years now. Gamer Girl & Vixen is the story of two LGBTQ super villains who fall in love on all the wrong rooftops. I co-wrote the comic with my writing partner, Kristi McDowell, with art by Gemma Moody and lettering by Taylor Esposito. Click here to visit the Kickstarter and order your copy! Lend your pal Henchie your support! Seriously, if you’re making comics, hire a professional letterer. They make all the difference! We will be running the campaign for the entire month of April. The book costs $25, and comes with a personalized ‘Thank You’ written on a collectible Gamer Girl & Vixen postcard. And if I know you’re one of my readers, I can send you a special Henchman-4-Hire prize! So head on over to my Kickstarter page and see it for yourself! There’s a link to read the first issue for free, to see whether or not you’ll like the comic. And if you order the printed graphic novel and let me know that you’re a henchie, I’ll send you something special when we ship the comics later this year! Thank you, everybody, for your support through all this! Posted on April 2, 2016, in Comics, Gamer Girl & Vixen, My Comics and tagged Gamer Girl, Gamer Girl & Vixen, Kickstarter, Vixen. Bookmark the permalink. Leave a comment.